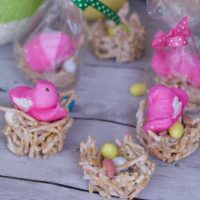 We have updated this fun Easter Party Favors Post of Chow Mein Noodle Bird Nest Cookies with new photos. 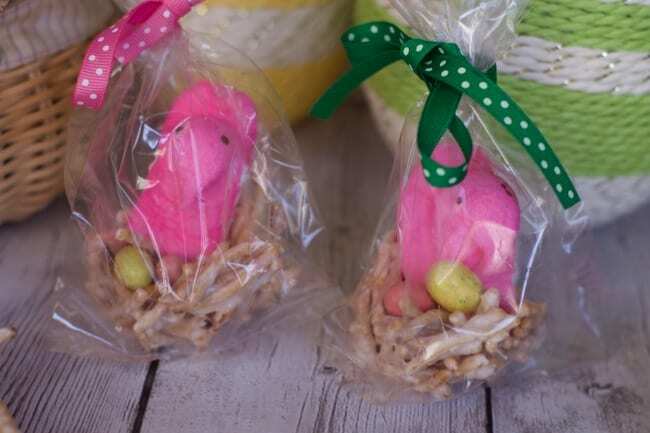 Be sure to check out our newest Easter Treat Posts like our Rice Crispy Bunny Treats and our Chocolate Peanut Butter Bunny Treats. 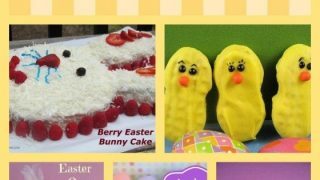 I have made these little treats for the past couple of years and both adults and children enjoy them. 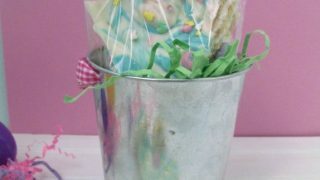 The Easter Egg nests are edible party favors or place holders at the Spring Easter table. 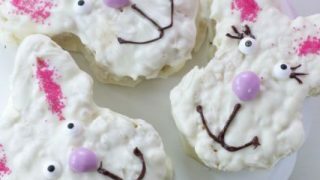 You could also use these for parties at school instead of cupcakes or as a teacher or neighbor treat. 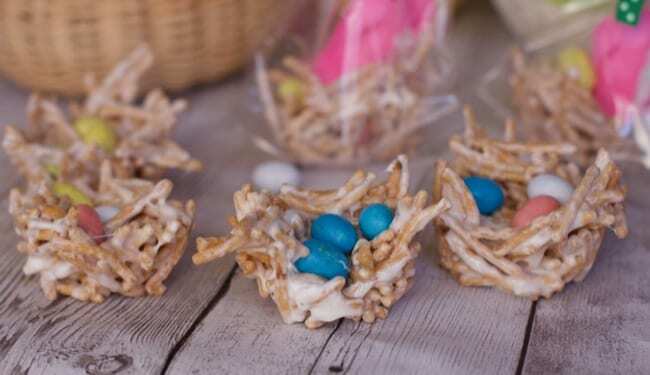 They are really easy to make, and the kids will enjoy filling the nests with the treats. However, the adult might want to stick to the nest building because it is pretty sticky and the kids might eat all the nest building mixture! 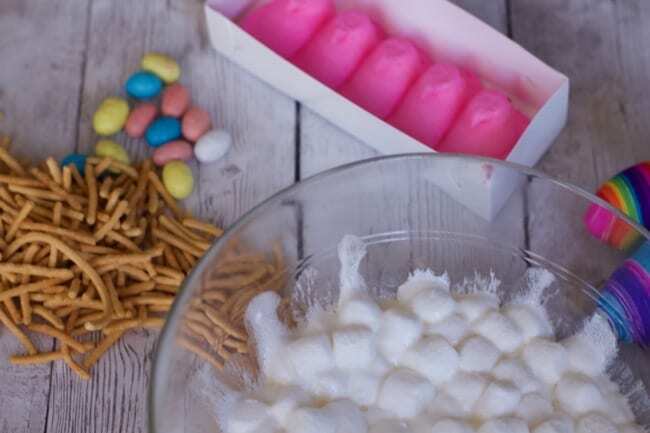 .If using vanilla add now and mix them together until they incorporate into a gooey mix just like rice krispie treats. Add the chow mein noodles and mix until they are all coated. 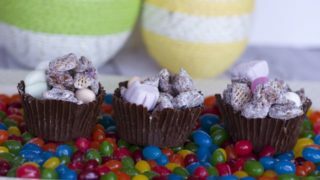 Add 1/4 - 1/3 cup of mixture into a greased muffin tin and press down lightly to egg candy eggs. Add about 1/4 to 1/2 cup of the mixture into 11 greased cupcake tins. It is easiest to use a buttered piece of saran wrap or bottom of a small glass to help shape the nest design and make an indentation in middle. 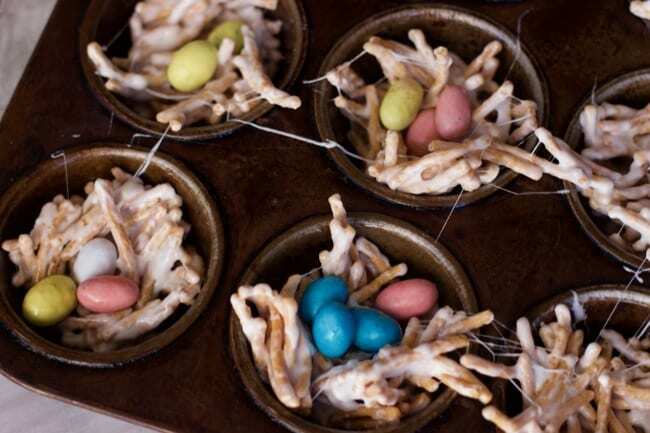 Add your eggs and peeps and let the birds nest cookies rest for at least 1 hr. 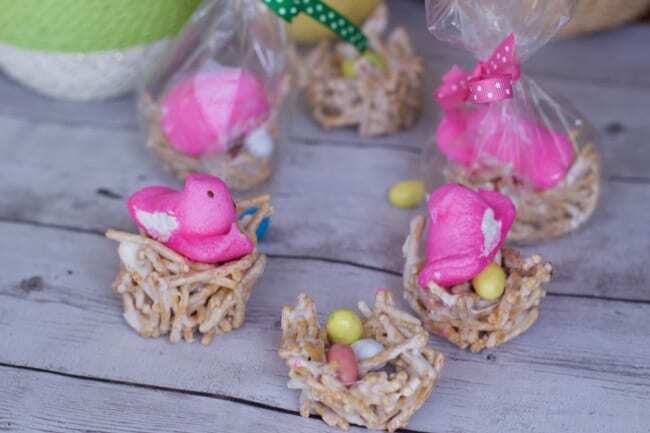 To keep them fresh and use these Bird Nests for an Easter Party Favor, place them into a cellophane gift bag and tie with a ribbon. You can attach a gift tag or name onto the ribbon as well. 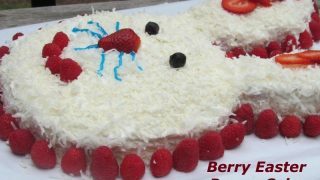 You could also probably do this with melted white chocolate instead of the marshmallow mixture if you prefer that taste. 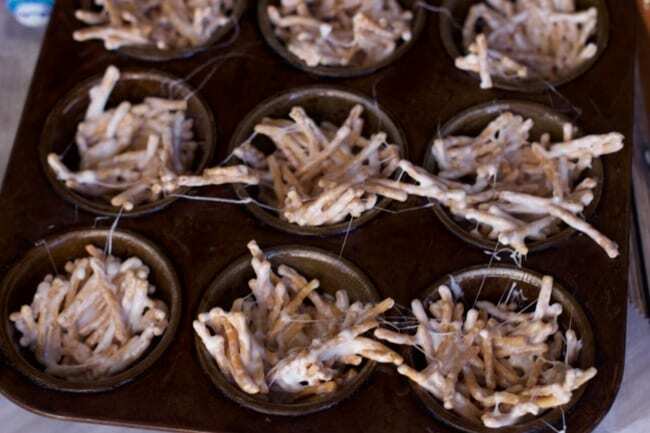 Rice krispies or broken small pretzel sticks would also work in place of the chow mein noodles. 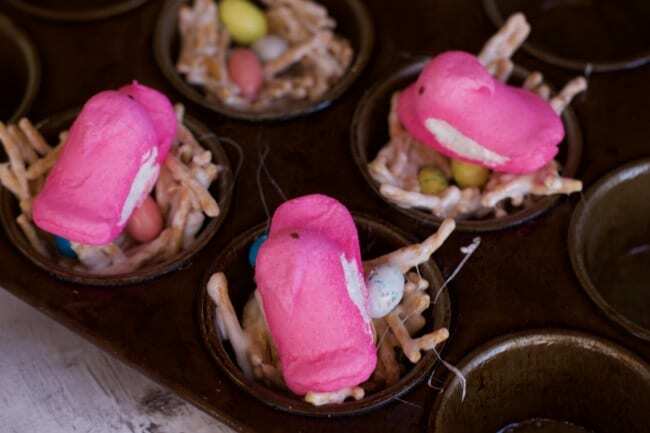 Since Peeps tend to get hard quickly you can skip this step or just add them right before you are serving them. 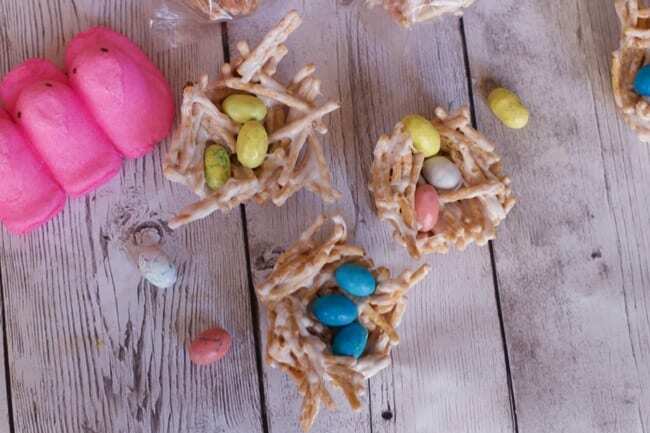 These Easter Nests can be stored in a plastic container for 3 days. 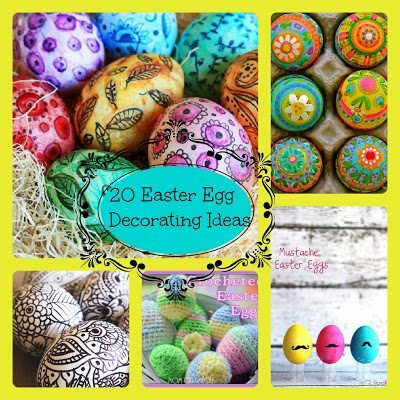 Be sure to pin this for when you are looking for ideas to decorate your Easter Sunday Table.